Volvo: Red, White and U.S.A.
One might say that Volvo is offering its iconic cars in “red, white and U.S.A.” with plans to open its first American manufacturing plant in Charleston, South Carolina. The Chinese-owned company, that also manufactures Geely-brand cars, will invest $500 million dollars into a state that is already home to BMW and Mercedes-Benz auto plants. Corporate representatives predict a startup manufacturing capacity of around 100,000 units. Currently, Geely has Volvo plants in Sweden and China. This venture represents the first time that a Chinese auto maker has started up manufacturing in the U.S. Auto analysts are lauding the importance of this significant American investment as an indication of the efficacy of the North American region in automobile manufacturing. The availability of highly-skilled workers and pervasive technology and component availability contribute to this renewed interest in western manufacturing. The company is moving to revive its global presence with an all-new lineup of cars. Sales were slightly down in the United States last year. Volvo once had the corner in safety with its unimpeachable record. With the advancement in technology and manufacturing safety, other mid-level to high-end companies have significantly enhanced their safety appeal. Still, Volvo remains a leader in safety technology in terms of brand recognition and company representatives believe this “red, white and U.S.A.” expansion will only enhance their corporate visage. The headquartering of yet another automobile manufacturer in the U.S. South spotlights the corporate-friendly environment of regional corporate taxes as well as non-union favorability. South Carolina, specifically, is a right-to-work state. A right-to-work statute prohibits agreements between employers and labor unions that require employee membership, payment of dues, and conditional membership arrangements. It translates to significant labor savings for manufacturers. In the rusty Northeast, where most manufacturing is unionized, the employer cost-per-worker-hour (including wages and benefits) averages $33.18. Comparatively, in the South, where all states, with the exception of Kentucky and West Virginia, are right-to-work oriented and non-unionized, the average employer cost-per-worker-hour is $26.32. In states where Republican-leaning governments have rescinded pro-union legislation, factory job growth has surged. The manufacturing sector in Michigan, long pro-union, saw a significant surge in job growth after they enacted right-to-work protections. Michigan factories added over 63,000 jobs in the past three years alone. On the average, private employment has grown nearly 5 percent in right-to-work states compared to less than 3 percent in other union-centric states. Critics say that salaries and compensation are less where workers do not have union protections. Factory workers average $1,011 per week in Michigan contrasted to $866 a week in South Carolina. When one considers that the average union member plays dues of around $20 per week, there is some validity in the argument for the benefit of unionized representation. However, many pro-union states have seen manufacturing jobs relocate to non-union states. The migration of Boeing from Washington to South Carolina with its Dreamliner plant placed this issue in the cross hairs of the discussion. Strikes by the union in Seattle had cost the company billions. 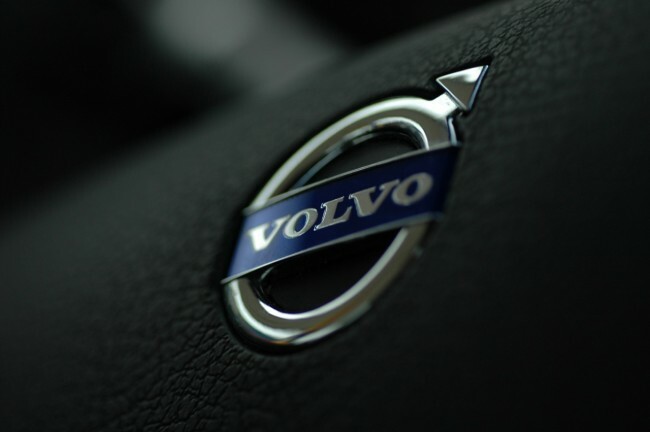 With Swedish sensibilities, Volvo stands out in terms of pro-employee policies. Sweden is ranked 5th in the world for its average hourly compensation for workers. The Volvo Group has a stellar record for attracting and retaining talented employees, according to corporate representatives. Their benefits and remuneration packages have given the company a comparably low employee turnover rate and they believe this trend will continue with their venture in Charleston. With their new South Carolina manufacturing plant, Volvo is proudly “red, white, and U.S.A.
One Response to "Volvo: Red, White and U.S.A."
Those 63,000 new manufacturing jobs in Michigan are largely due to labor-management cooperation and collective bargaining (i.e. the UAW bargained over reinvestment in the state), not right to work.